Scrum is a framework for project management that emphasizes teamwork, accountability and iterative progress toward a well-defined goal. The framework begins with a simple premise: Start with what can be seen or known. After that, track the progress and tweak as necessary. The base of Scrum is Empiricism, which states that knowledge comes from experience and we should make decisions from what is known. 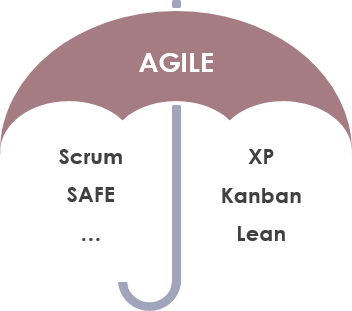 There are the three pillars that hold Scrum together. Scrum delivers features at a time, while waterfall simply delivers phases. A typical waterfall style development is phased-based and sequential process that will not give value until the very end the project. Scrum turns that model on its head and delivers new features every few weeks instead of focusing on a big release in the future. 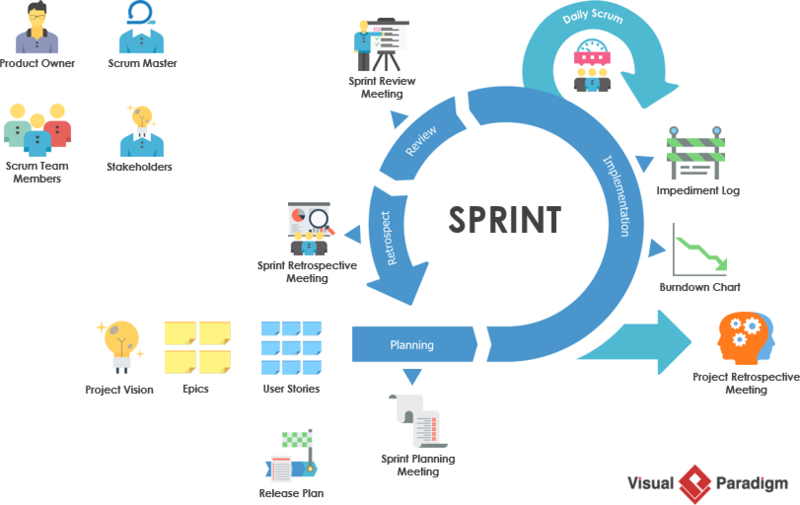 Scrum divides complex work into simple pieces, large organizations into small teams and far-reaching projects into a series of short time horizons called sprints. By building iteratively and incrementally, companies are able to deliver customers the products and services they really need faster and more effectively. With Scrum, you can receive and incorporate customer feedback at the end of every small development cycles, which means your results get shaped by real-world use, not your assumptions. This makes it much easier to keep customers and key stakeholders closely involved and engaged. Agile methodology is a practice that helps continuous iteration of development and testing in the SDLC process. Agile breaks the product into smaller builds. Scrum is just one of the many iterative and incremental agile software development process that allows us to focus on delivering the business value in the shortest time. Following are the benefits that scrum provides to organizations, teams, products, and individuals. Reduced time to market: Scrum has been proven to deliver value to the end customer 30 to 40 percent faster than traditional methods. Increase Return on Investment: The decrease in time to market is one key reason that scrum projects realize a higher return on investment (ROI). Because revenue and other targeted benefits start coming in sooner, earlier accumulation means higher total return over time. This is a basic tenet of net present value (NPV) calculations. Higher Team Morale: Working with happy people who enjoy their jobs can be satisfying and rewarding. Self-management puts decisions that would normally be made by a manager or the organization into scrum team members’ hands. Enhance Team Collaboration: When scrum teams take responsibility for projects and products, they can produce great results. Scrum teams collaborate and take ownership of quality and project performance through enhanced team participation and communication. The Scrum Framework itself is very simple. It defines only some general guidelines with only a few rules, roles, artifacts and events. Nevertheless each of these components is important, serves a specific purpose and is essential for a successful usage of the framework. The diagram below shows the key elements of the SCRUM framework. 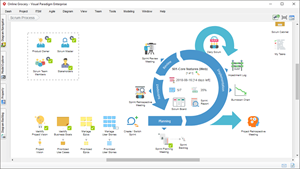 The process has been applied by the agile software tool – Scrum Process Canvas. Scrum team (aka. Development team) is formed with from 3 to 9 people who MUST fulfill all technical needs to deliver the product or the service. They will be guided directly by the Scrum Master, but they will not be directly managed. They must be self-organized, versatile, and responsible enough to complete all required tasks. Teams must be Self-Organized. All team components must manage their own efforts to complete the assignment that has been given. In Agile Scrum there is no figure of the Team Leader or Line Manager. Everybody must be committed enough to perform their own activities and contribute to the success of the team. If one fails, everybody fails. Teams must be Cross-functional. All team members together must possess all required knowledge and skills to deliver a service or product that is well done and ready to use. A specialist can be used in necessary cases, but only as a coach who transfers the knowledge to the team to fulfill a specific gap. Being a Product Owner Requires a Business Vision. The Product Owner represents the voice of the customer and needs to translate their needs to the Scrum Master and Development Teams. This is usually a full-time job. The Scrum Master is not a Line Manager. They help to provide the required coach to the Development team and also help to remove any barrier that the team faces. The product backlog is a collection of user stories which present functionality which is required/wanted by the product team. Usually the product owner takes responsible for this list. Sprint backlogs contain a collection of stories which could be included in the current sprint. Two important points to note about the relationship between the sprint backlog and the inclusion of items into the sprint. 1) The team decides what gets added to the sprint. The team therefore takes ownership and responsibility of the delivery of those items. 2) Before an item can be removed from the sprint backlog and added to the sprint, the team must ensure they have all the information needed within the backlog. Usually a team defines a checklist of items which must be present before the item can be added. A burn down chart is a graphical representation of work left to do versus time. The outstanding work (or backlog) is often on the vertical axis, with time along the horizontal. That is, it is a run chart of outstanding work. It is useful for predicting when all of the work will be completed. It is often used in agile software development methodologies such as Scrum. However, burn down charts can be applied to any project containing measurable progress over time. Outstanding work can be represented in terms of either time or story points. This is the time where the SCRUM master can shine. The product owner, identifies aspects they need from a business/customer point of view, the SCRUM team, identify which items they think they can deliver and the SCRUM master accommodates all and ensure the best of both worlds are met. 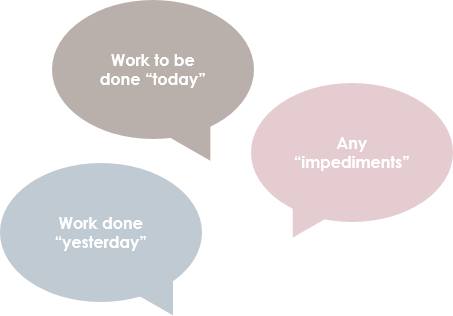 This daily update provides instance feedback to the team and provides. These meetings are meant to be short and snappy no longer than 3 minutes per person. Observers are there to observe, the SCRUM master must where possible mitigate outside interruptions and distractions to the team. 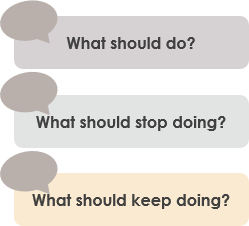 What did not go well (and stop doing again)? What went well (and should keep doing?)? The aim of this approach is to continually improve the team efficiency. Think of the backlog as the roadmap of the project. As the team collaborates to create a list of everything that needs to be built or done for project completion, this list can be modified and added to throughout the project to ensure that all of the necessary needs of the project are met. As mentioned before, items in the product backlog are prioritize and selected to the sprint backlog. a sprint contains only a few large items, the impact of underestimating the work on even a single item will have a profound impact on the sprint. And since larger items tend to be harder to estimate and understand, the potential for a failed sprint increases further. Experienced Scrum Teams spend time and effort to break down complex and larger items (i.e user features or epics) into smaller user stories (or subsequently breaking down into tasks, or subtasks). An epic captures a large body of work. It is essentially a “large user story” that can be broken down into a number of smaller stories. It may take several sprints to complete an epic. So when we take epic for development, it MUST be decomposed into smaller user stories. Early in the project cycle, we come up with Epics. These are very high-level, almost marketing-centric, bullet-points of functionality. We call large stories “epics” to communicate something about them. I like to think of this in relation to movies. If I tell you a particular movie was an “action-adventure movie” that tells you something about the movie. There’s probably some car chases, probably some shooting, and so on. Similarly, calling a story an “epic” can sometimes convey additional meaning. A Stories is a brief statement of a product requirement or a business case. Typically, stories are expressed in plain language to help the reader understand what the software should accomplish. Product owners create stories. A scrum user then divides the stories into one or more scrum tasks. A user story is typically functionality that will be visible to end users. A user story follows the format “I as WHO want to do WHAT, so that WHY. A user story delivers value to the customer/user. It’s a product requirement from the customer/user. A task, on the other hand, more a technical nature, Task is typically something like code this, design that, create test data for such-and-such, automate that, and so on. These tend to be things done by one person. A task is not written in the user story format. A task has more a technical nature. e.g. “Evaluate Angular material design for user interface” or “Submit app to app store”.